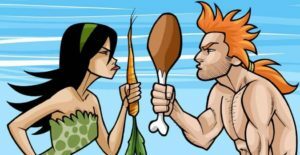 Following on from the previous blog, which looked at how the methods used in processing and preserving your food can ramp up the nasty possibility that one day your doc will mention the ‘C’ word 1 , we’ll look today at the cancer risks involved in eating meat, fish and dairy products. The Continuous Update Project (CUP), which analyses research on what causes cancer and how it can be prevented, operates under the auspices of the WCRF/AICR (World Cancer Research Fund/American Institute for Cancer Research). The following information is taken from their Third Expert Report 2 released in 2018. The following is a chart which shows the above information in a more graphic format. Full details are available at as a downloadable PDF file 3 . As mentioned above, the salted fish and any processed meats should simply be avoided at all costs – if, that is, you want to do the best you can to avoid cancer risk. 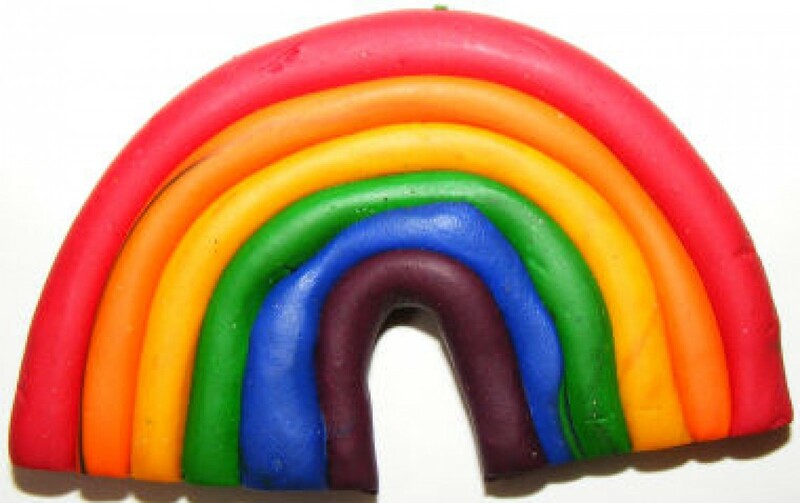 processed meat is also a source of exogenously derived N-nitroso compounds 11 12 , which may have carcinogenic potential. 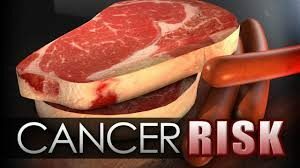 The findings on red meat are interesting in relation to cancer risk – basically, there is zero evidence that eating it will help to prevent cancer – indeed, quite the reverse appears to be the case. So why bother with it? Equally revealing is the evidence about fish (not the Cantonese salted stuff, but just general fish). It may well be that there is some evidence that eating it may protect against two forms of cancer (liver and colorectal), but this doesn’t take into account the other health problems associated with eating fish, covered in an earlier blog 17 . And, in any event, this Report does not look at whether or not you would stand a better chance of avoiding liver and colorectal cancer by dumping fish altogether and eating a whole food plant-based diet instead. This is always the issue with this type of research – the research team always needs to limit their field of enquiry (reductionism vs wholism 18 in order to get funding and draw ‘neat’ conclusions. Additionally, did you notice the part about foods high in calcium? 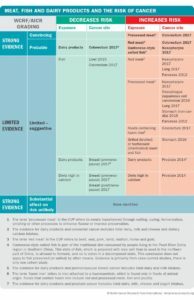 If you look at the full report 3 , you will see that they are mainly talking about high calcium sources being derived from dairy products – “In countries with high intakes of dairy products, these products are the main source of calcium.” What the Report does not mention (because of milk industry pressure?!) is that dairy consumption is associated with increased rates of osteoporosis/hip fractures and that dairy appears to leach calcium from bones rather than build up bones 19 20 21 22 23 24 25 . Yes, there are many other studies that suggest that the calcium in dairy is great for your bones, but the very fact that there are good research studies that suggest otherwise makes dairy one more ‘smoking gun’ 26 that does no harm to avoid – especially since, as the report itself states 27 28 , you can get all your calcium from plants 29 30 . In any event, avoid calcium supplements 31 32 . Once more, there always appears to be that ‘smoking gun’ 26 when it comes to animal foods that is simply not an issue when dealing with plant foods. In the next blog, we will take a quick look at what the Report had to say about the relationship between cancer risk and wholegrains, vegetables and fruit. Want to guess whether they’ll be more factors that decrease or increase cancer risk?